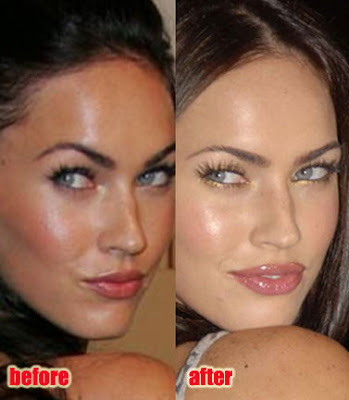 Most if not all celebrities have undergone at least one plastic surgery during their carreer. Some only slightly alter one or more of their features, others try to stay young and some go overboard and end up being somebody else.... From now on, I will have a new category of posts (in the name of plastic surgery) in which I will show you the before and after pictures of various celebrities. The first celebrity that has undergone a great number of plastic surgeries for her age is Megan Fox. 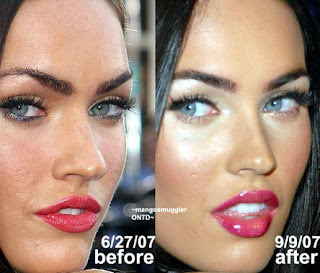 For those of you who thought Megan was all natural, guess again! She was a beautiful girl who has transformed into a stunning woman...I mean stunning!!! I think in this final plastic surgery, she kind of went overboard. Too big cheekbones, make her look older! Finally, I dont know If you have noticed, what changed for Meg over the years were her eyebrows, they became thicker and younger looking! Do you see how lovely they frame her eyes?? So, an advice! Try not to over pluck your eyebrows!!! Oh my goodness. 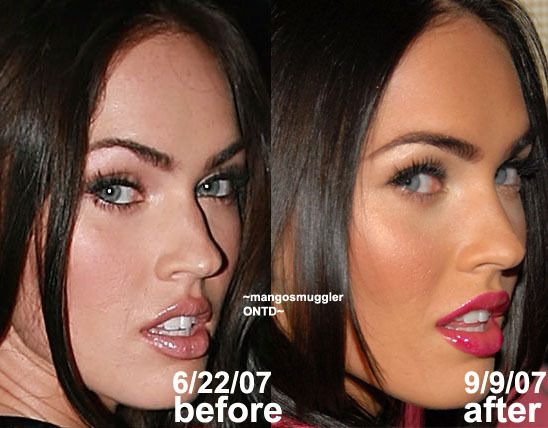 I can see how she had work done cuz she does look quite young naturally, but the last picture is.. beyond middle-aged. It´s amaizing! i never thought that this girl thinks about plastic surgery..She´s too young for it! The last picture,as Makeyuup says, is definitive..she looks older. I put a new post at my blog, if you want to check it. I don't think that she has had that all done, maybe the nose and I would say she has had botox and fillers ....The thing is you never really know, she was very young in the other pictures and also makeup and lighting can have a huge effect. Either way she is stunning and I will kill to look even a 10% as good as she does. Interesting post! 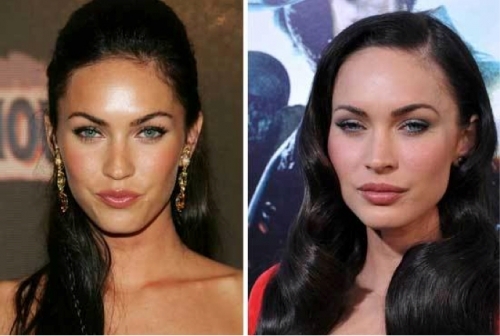 I agree with the cheekbone thing, but she still is stunning today. She doesn't look too overdone. Great post! Nice tip on the eyebrows. Great post, she was a gorgeous one before all the plastic nonsense... she does still look gorgeous a year ago too, but now, she just looks OLDER! Also the eyebrow thing, yeah don't over pluck because there's also this constant look of surprise! woow i've always assumed but never thought she had. thanks for shining a light on this. They did a great job on her nose but not the lips, she looks horrible now. Before she was stunning. thanks sooo much, this is so shoking! thanks so much for your comment on my blog, hope you'll win the giveaway!! really nice blog and i love this post!! This is such a great post!! Wow- I totally didn't know about the final plastic surgery!!! I haven't seen any recent pictures of Megan. I agree with you, I think she went a bit overboard with the final tweaks, if she did in fact have them done. What I don't understand is that if the whole world thinks you are beautiful with your face the way it is, and it earns you fame for your beauty that way, why would you change it?